Leaving the airport, you will be directly on Grant McConachie Way. Grant McConachie Way will take you over the Arthur Lange Bridge and onto Granville Street to the Granville Street Bridge. Cross the Granville Street Bridge – direction Vancouver. Take the Seymour Street exit. Turn left onto Dunsmuir Street. Turn right onto Burrard Street. 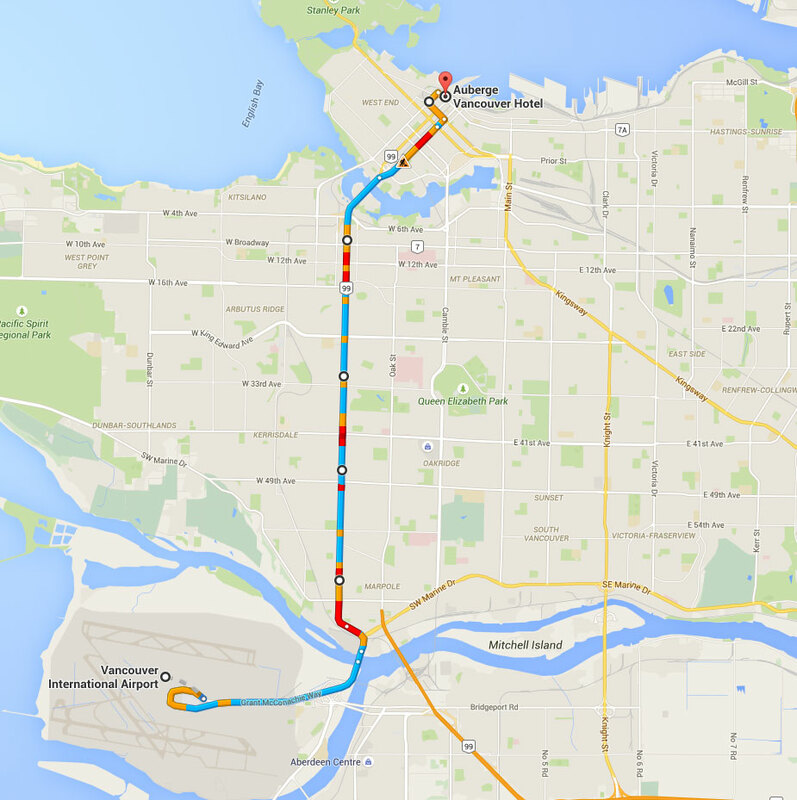 Continue down Burrard Street and turn right onto Cordova Street. The Hotel parkade entrance is the second one on the right – just past the Terminal City Lions Pub (TC Lion’s Pub). Advise the parkade attendant that you are checking into the Hotel. When registering, please advise the Front Desk attendant that you require a parking pass.